Although Bolivia lies close to the equator, the weather in the country is highly influenced by the extreme variations in elevation and the amount of rainfall a particular area receives. Bolivia's climate and weather varies as greatly as the country’s many regions. Bolivia has a moderate climate however; temperatures tend to differ dramatically between day and night. When talking about weather, Bolivians normally refer just to two seasons; the rainy season and dry season since normally there is no gradual entry into either the summer or winter season. The changes in the temperature and weather are normally as short as the changes in territory from one area to another. The temperatures in the country are also mainly dependent on the elevation. The wettest period for Bolivia is from November to March, which, in dire circumstances, may cause landslides in mountainous regions, and cause certain roads in the area to become blocked. The slopes on the northeast section of the Andes are semi-tropical. Visitors occasionally find La Paz to be uncomfortable due to the thin air which is caused by the high altitude. In the Bolivian highlands, the weather can get extremely cold and temperatures often drop below zero at night, especially in places like on the Altiplano. Snow is also normal in Potosi during the months of winter and occasionally it may also fall in La Paz and Oruro. While during the winter Tarija on the Cordillera Real, Sucre, and Cochabamba normally experience beautiful blue skies and cool temperatures. 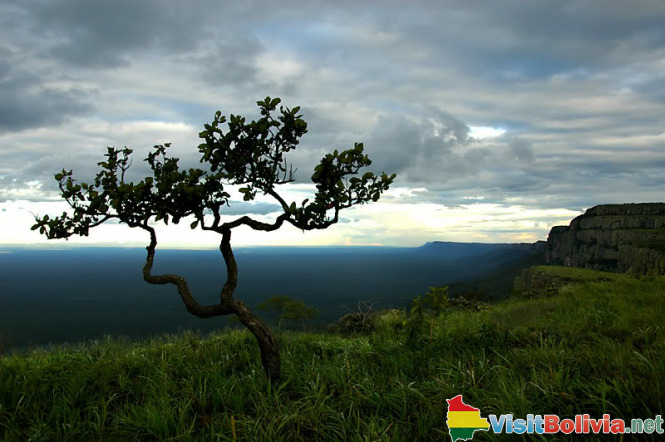 The Tropical Lowlands which runs to the East from Pando, down through Beni and Santa Cruz to sections of northern Tarija has a climate that is normally very hot, wet and it rains frequently between the periods of late August and May. The months of December and January are the hottest periods of the year and the summer days are humid and steamy. The nights are warm and musky, sometimes filled with a damp fruity smell as the winds carry the fragrance of Bolivia's tropical jungle into the cities. The weather is normally warmer and wetter during the months of April through to October and the winter months, are generally colder and drier.